Start Licensing’s Ian Downes looks at the vibrant area of museum and heritage licensing this week. As an ex-TV time buyer who spent days studying ratings and audience profiles, I am very keen on statistics and research. So I was naturally drawn to data published by the Association of Leading Visitor Attractions (Alva) this week. According to Alva, the Tate Modern is now the UK’s most popular visitor attraction. I am a member at the Tate and use the Tate Modern as a meeting venue – it has a lovely terrace that looks over the Thames towards St Paul’s – a great place to chat licensing. I reckon my 2018 visits helped get Tate Modern to the top of the charts – I must have been there about 15 times last year. Clearly I am not alone. Museums and galleries have worked hard at marketing themselves with innovative campaigns and featuring high-profile exhibitions. Tate Britain is enjoying a fabulous response to it’s recently launched Van Gogh in Britain exhibition, while the V&A is launching a retrospective exhibition about fashion designer Mary Quant this week. The Tate Modern gift shop has a well stocked book range. Alva reported that 5.9 million people visited Tate Modern, with the British Museum clocking up 5.8 million visitors. The top ten attractions were: Tate Modern, the British Museum, the National Gallery, the Natural History Museum, Southbank Centre, V&A London, the Science Museum, Somerset House, the Tower of London and Royal Museums Greenwich. To a larger or lesser extent all of these organisations are involved in licensing and are hosts for signature exhibitions which have a connection with licensing. It is a vibrant area of licensing and one that seems to becoming more significant. 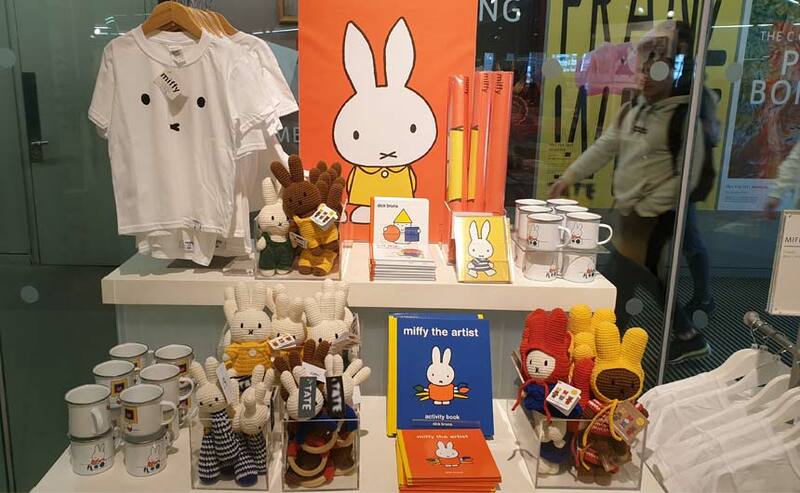 A highlight at Tate Modern was the display of Miffy products. As it happened, this week I had reason to visit Tate Modern and the Imperial War Museum. I took a time out and popped into both museums’ shops. A highlight at Tate Modern was the display of Miffy products. It had grouped a good range of products together and created a nice feature area. The products were a blend of licensed lines – I am guessing Miffy works well in this location as it is a character with a design and illustration heritage, it has a contemporary styling and of course has international appeal. 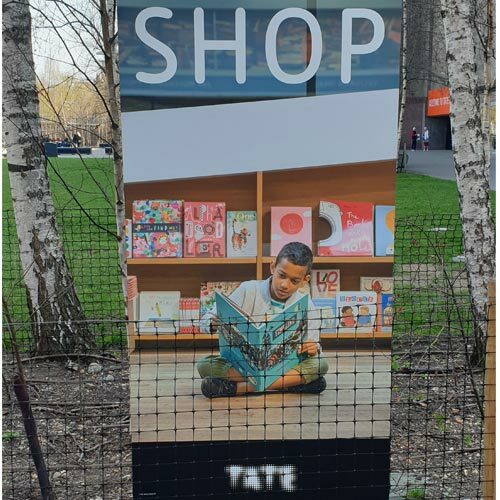 The majority of products in the Tate Modern gift shop feature designs from its collection or original designs that celebrate London or Britain tapping into the tourist market. It also has a really well stocked book range and I am sure it has become a go-to retailer for art books. This polka dot silk scarf is based on the one worn by Sir Douglas Bader. The Imperial War Museum shop featured a few licensed lines including construction kits from Smart Fox and some Haynes Publishing titles. Again, it blended its own lines with bought in products. Like many museums, it has tapped into key anniversaries – for example the RAF’s 100th anniversary in 2018 inspired a number of products including a high spec anniversary book – RAF 100 The Official Story. An interesting feature of the Imperial War Museum’s range are the products inspired by artefacts or personalities that feature in its collection. 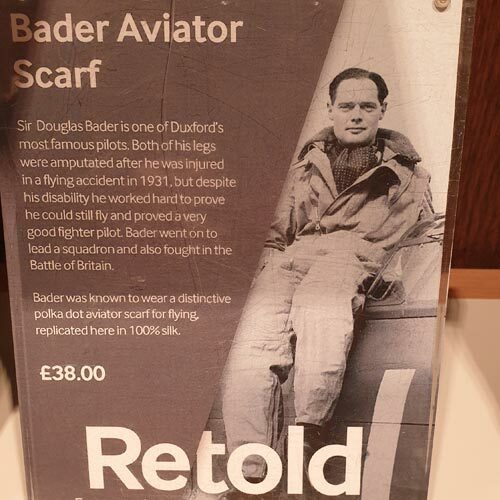 A couple of good examples are a Bader Aviator Scarf – a polka dot silk scarf based on the one worn by Sir Douglas Bader and a rec-conditioned Bakelite Telephone. Both these items are, I think, exclusives for the Imperial War Museum but having a retail outlet to test and launch products is a valuable platform for licensors. If either of these lines performs well, the Imperial War Museum has a great test case to take out to the wider retail set. In the age of ‘collabs’ you can see how special edition items and designs like these may inspire retail engagement. 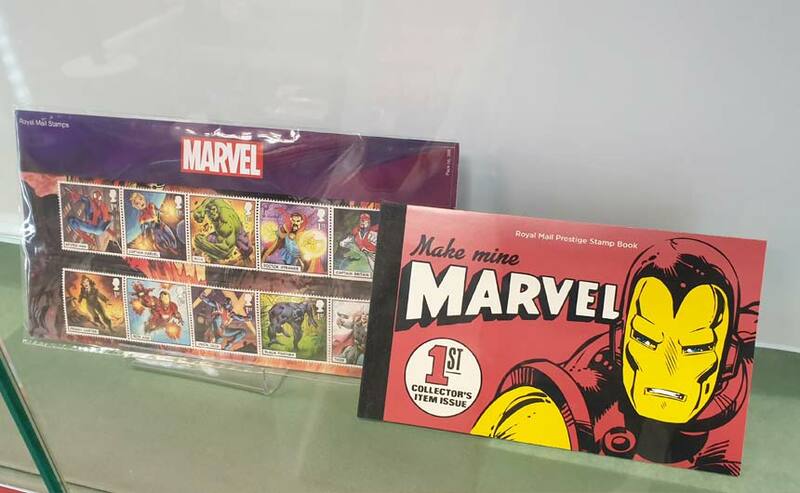 The recently issued Marvel Comics' stamp collection was on display in Ian's local Post Office. While I am a frequent visitor to museums, galleries and heritage sites I would say the location I visit most often each week is my local Post Office. Being the son of a postman I have an in-built loyalty to the Royal Mail and still use the postal service. Post Offices have changed a lot and to an extent the staff spend more time up selling other services rather than dealing with postal matters these days. Coupled with this, Post Offices are also more involved in selling a wider range of products these days. 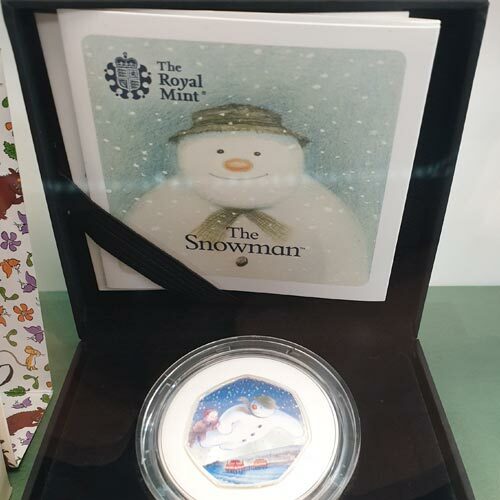 The Snowman collectable coins from The Royal Mint was also one of the special edition products on display. One aspect of this caught my attention this week as I queued up. My Post Office has a display case selling collectible and special edition products. These combine stamps from the Royal Mail and coins from the Royal Mint. The cabinet featured collectable coins with The Snowman and The Gruffalo. In addition, there was a feature made of the recently issued Marvel Comics stamp collection. I am not sure how many users of the Post Office buy these kind of products there and then but it is a great showcase for the products. It is good to see licensing featuring on these kind of products. I think Post Offices offer a lot of potential for licensing and licensed products, but a key challenge is that the staff seem time poor and are tasked to do a lot of other tasks. Maybe there is scope for pop-up or concession retailing in Post Offices? Given the popularity of the Tate Modern, I think I may need to find a new meeting spot for 2019 and am looking forward to researching new venues in the coming weeks.